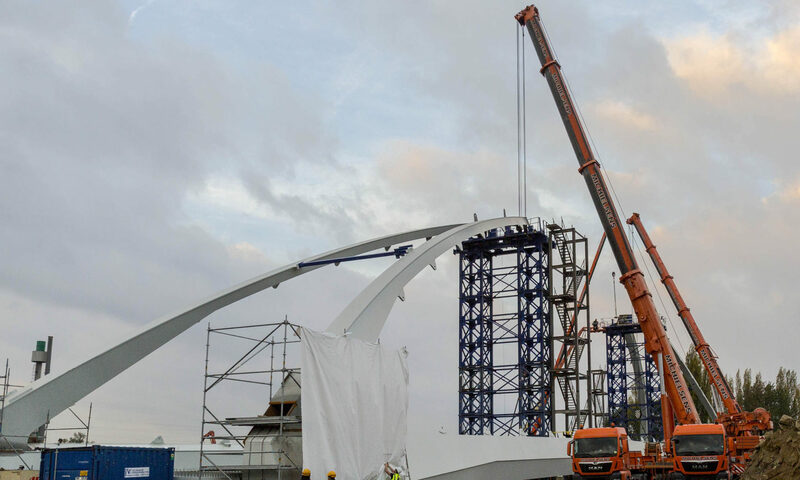 Ale recently lifted two 400t and 120m long steel wishbones, which form the central arch of the Matagarup Bridge in Perth, Australia. 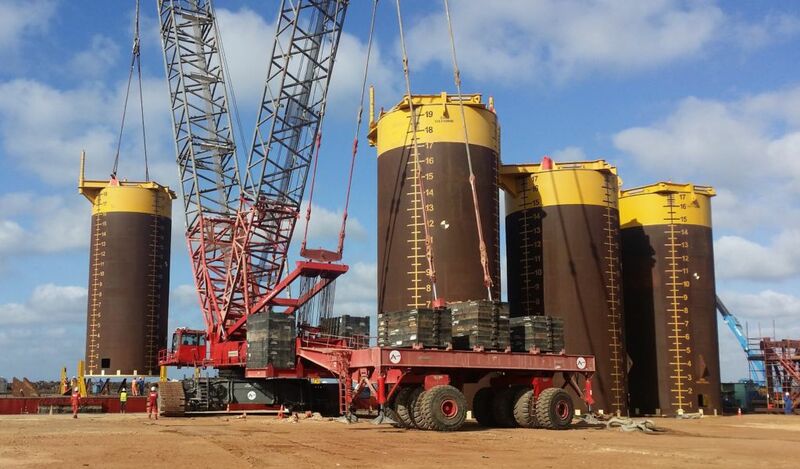 To do this, the British company used barges on the Swan River to float the structures to the piers and then used the Mega Jack to lift them. 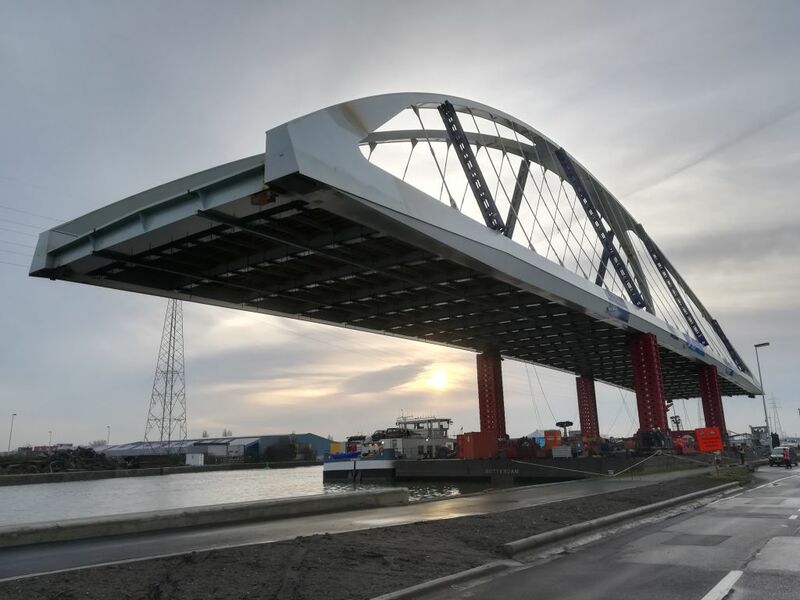 The first one was completed on 27th April and the second one on 12th May. 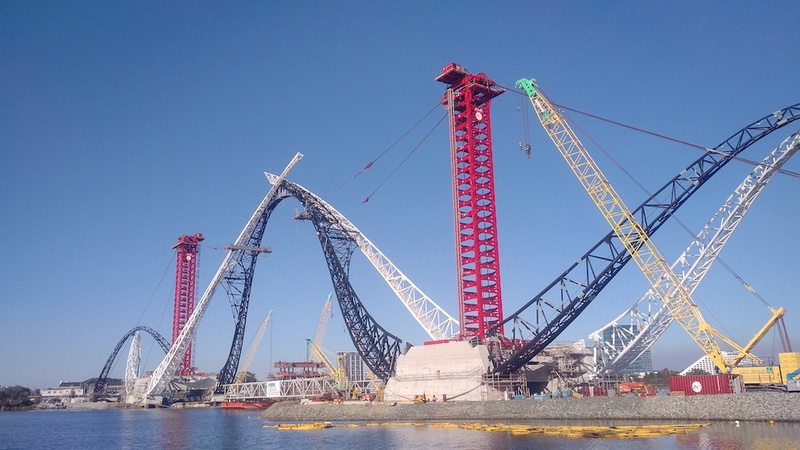 The new bridge, reaching 72m above water level, will connect eastern side of Perth city with the Burswood Peninsula, where a new 60 000 seat stadium was recently opened. 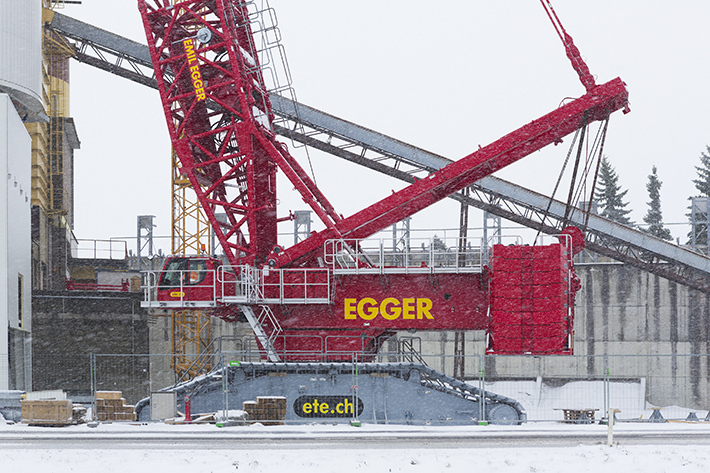 The Liebherr crawler crane LR 10000 operated by the abnormal transport company Emil Egger AG, settled a silo of 470 cubic meters capacity in Oberiet, a Swiss municipality next to the Austrian border. 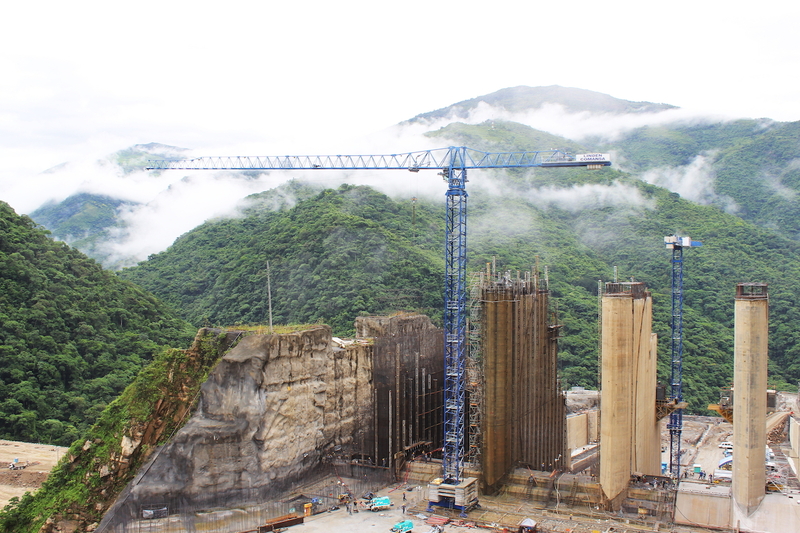 The construction site had some space constraints, preventing to use the jib extension. 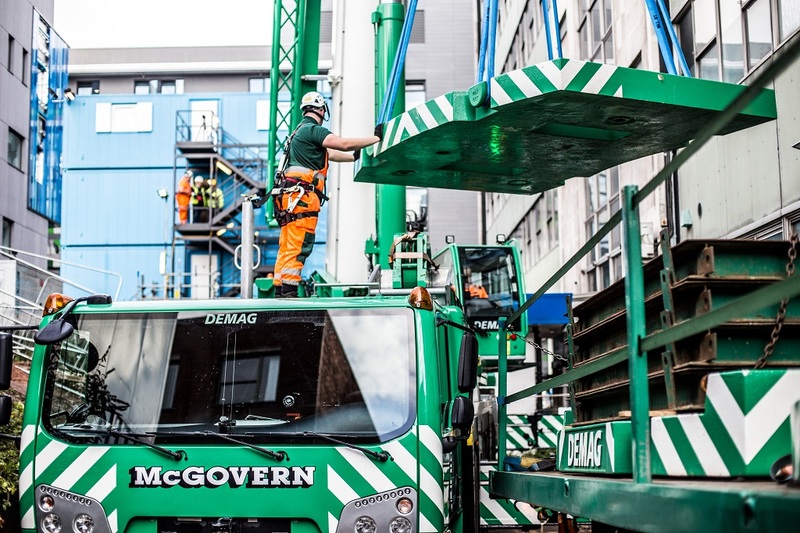 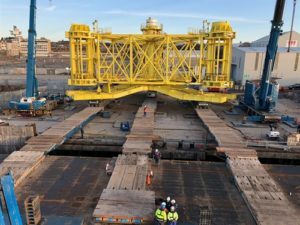 « The benefit of our solution was that using the LR 11000 for this job meant that a derrick jib was not required as would have been the case if a 500 tonne crawler crane had been used. 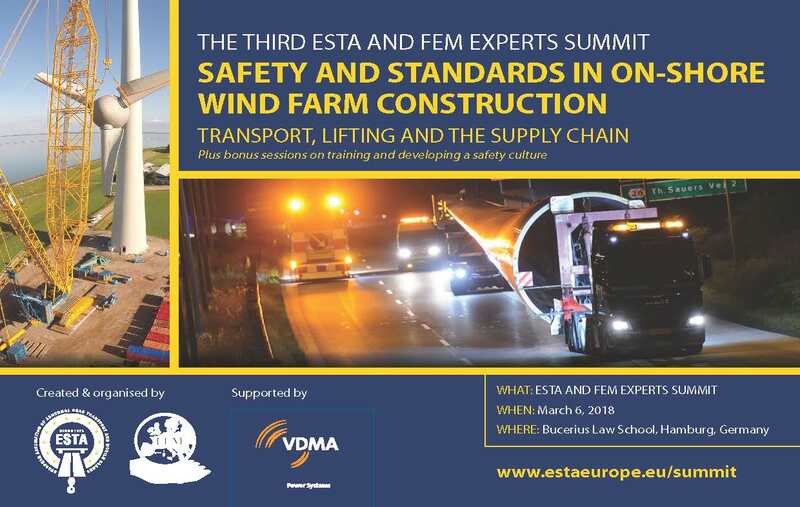 That would have presented a massive problem as a result of the extremely constricted space available », explained Michael Egger, Director of Emil Egger AG.